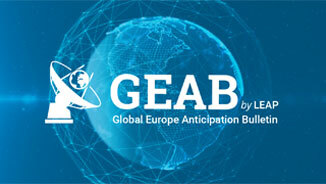 Three times a year, the GEAB produces a calendar of significant events during the next four months. 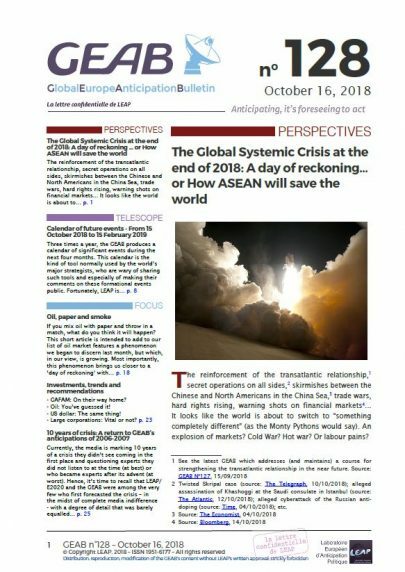 This calendar is the kind of tool normally used by the world’s major strategists, who are wary of sharing such tools and especially of making their comments on these formational events public. Fortunately, LEAP is here and its calendar of forthcoming events will save you valuable time when reading the news in the coming months. You’ll already know about it! The current NATO Secretary General took office on 1 October 2014 for the usual four-year term. But in December 2017, NATO members decided to add another two years to his term, thus making it a six-year term. Therefore, there will be no change at the head of NATO on that date. Jens Stoltenberg has stated his desire to devote this two-year ‘bonus’ to the strengthening of the transatlantic relationship.